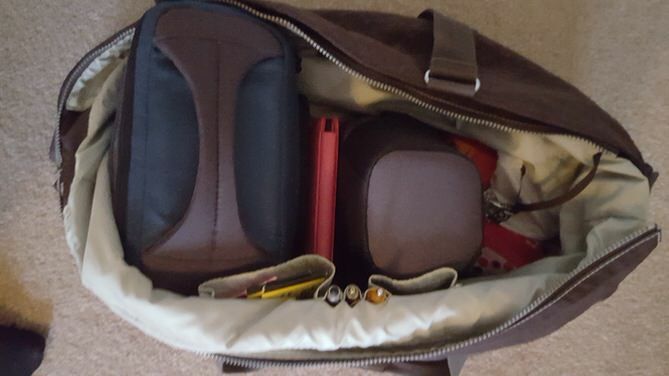 Packing List Carry-On Bags are a big deal to travelers. I was always told to bring an ace band-aid because it’s good for stopping snake venom by helping to stabilize a broken bone or sprain. In the old days, they said what to pack in your carry-on bag was a hard thing to figure out. Start with a plan and stress-free advice. AMA recommends this advice here. The documents side of planning and having a stress free trip. New go-to item: KT tape for this purpose because it’s so small and efficient. Camera gear: camera gear, camera accessory, and electronics in my carry-on. Passport – Make sure passports are current? Immunizations and Shots – do you need vaccination? What do I do if I get sick while traveling? If I bring watercolors, I put them in an easy to open pouch. At Greek customs over my watercolors, I have been stopped in customs over my watercolors. Customs inspected everything because they felt it was suspicious. One of my purses with the contents in it. I keep my passport always in the same pocket in my carry on and take my immunizations World card because I go to places that might request to see it. I use a soft camera case for protection. It’s always ready to use. If you carry a spare cell phone as I do keep it close to you, so you have it if you need it. In the slideshow, you will see Angie, my cat. As soon as I get my bag out, she comes over starts trilling her tail as if she is ready to be playful and come with me. Or she likes it when I am going so she can have everything her way.